Emerald Square Limousine | We've got the ride for you! We’ve been providing first class, luxury transportation since 1989. Our fleet is the area’s largest and newest – and we guarantee exceptional and timely service. Our fleet includes 2019 Cadillac XTS Sedans, new Cadillac Escalades, new 26 Passenger Limo Bus, new Mercedes Sprinter, Mercedes S550, and more. Visit our fleet gallery to experience all our luxury vehicles. We’re available 24 hours a day. With just one call we can book all your ground transportation needs. Whether it’s Boston, Providence, New York or any drivable destination, you can count on us to provide you with the ultimate luxury experience. Want to see our fleet in person? Visit our showroom on Route One in Plainville and see all of our luxury vehicles. This level of transparency is unique in an industry where many companies don’t even have an office, let alone a showroom. 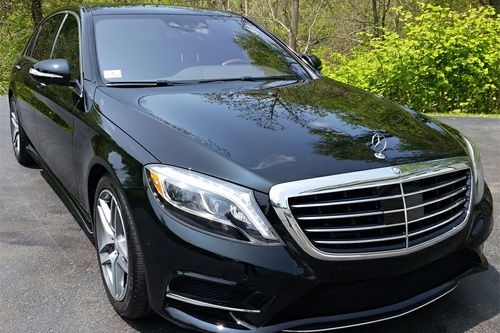 The Mercedes S550 Sedan is instantly recognized for its iconic design, comfort and technology enhanced safety. 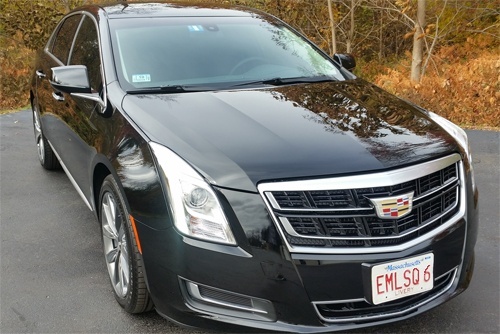 Our Cadillac XTS luxury sedans are the perfect choice for the client desiring luxury travel with high technology and a low profile. 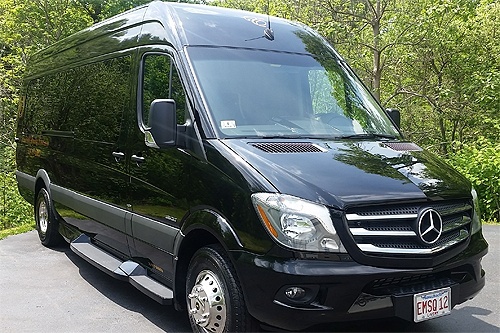 Our Mercedes Sprinter combines limousine luxury with generous seating capabilities and a discreet exterior profile. Our new 26 Passenger Party Bus has been customized exclusively for our fleet. Perfect for any occasion that requires transporting a large group in luxury. 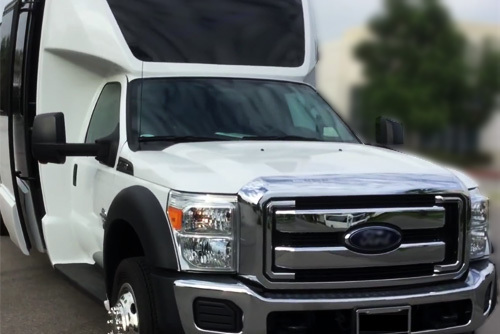 All Emerald Square fleet vehicles are meticulously maintained and serviced. The elegant attention to luxury, detail, and corporate requirements, is what sets us apart from the rest. By choosing our airport transfers, you will never have to wait at the airport again! Our flight tracking software allows our staff to monitor every inbound flight in real time. When it comes to a night on the town, we not only treat you to the perfect limousine, sedan or party bus ride, we make sure that you have a blast outside of our vehicles as well. This is your special day. You want everything to be perfect. That’s why you choose Emerald Square Limousine. 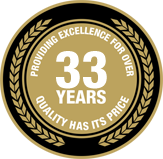 Our many years in the business means we have the experience you deserve.